My dad liked mornings. He went to the coffee shop before daylight. He always planned an early start during vacations. He got up and got moving, and he was perplexed by anyone who didn’t. He halfway expected the rest of the world to be up and productive when he was, and he seemed genuinely surprised when he found out someone wasn’t. I can’t count the number of mornings I’d get a phone call between 6 and 6:30 a.m.
I’m a morning person, too. As soon as I’m awake, I’m ready to start the day and be productive, but especially when my girls were young, I saw no reason to intentionally get up if everyone was sleeping and I could rest for a little while longer. I don’t remember a single time he called early in the morning to tell me something life-changing. He usually had a silly joke ready to tell, or a “Did you hear?” fact about a local event or bit of news. He usually learned the tidbits on early morning radio or at the coffee shop, so of course, I hadn’t heard them yet. I was still in bed. Being lazy and unproductive. And comfortable. Yet as annoying as those early calls were, I sort of enjoyed them. I might have groaned, but I usually also smiled. After all, my dad called me, and I liked that. So what if he interrupted my sleep? The phone conversations never lasted long, and I don’t go back to sleep once I’m awake in the morning, but in the the big scheme of things, it was fine. I got to start the day by talking to my dad. Many times, interruptions are worthwhile. We gather all the things we need–our phones, laptops, tablets, and more–and we place our earphones on and focus. We can connect with people through technology. We can take care of many tasks. We can work uninterrupted, or at least with a feeling of control over our interruptions. We’re not unlike pilots in their cockpits as they fly when we lock into our technology spaces. We let few people enter. We have control, or at least we think we do. We take on big responsibilities, but we do it in the illusion of isolation. Technology gives us the opportunity to make quick connections and have effective productivity. But the more we think we can do within our reach, the more we enter a bubble to get more done. We are more content to focus on tasks than people. When we focus on people, it is often through a screen or microphone. Technology can open up the world to us, so why do we close ourselves off and connect more with the technology than the world? Why doesn’t we use what have access to as a gateway instead of a destination? We become content to see photos instead of reality, videos instead of experiences, multi-tasking chats instead of face-to-face conversations, read someone else’s opinions instead of wrestling through our own doubts and issues. The challenge is how to live with technology and use it well without closing ourselves off from the people in our lives. Being in the same room is not the same as being present with people, including ourselves. How engaged are you with your phone compared to how engaged and invested in people are you? It’s worth honest reflection and assessment today, so you can live better tomorrow. I got to study group and was hesitant to really engage. I kept thinking about skipping out to focus on other things that were on my mind. I didn’t think the benefits of staying were worth what I’d be missing. But I needed to slow down before making a decision. Life isn’t about pushing forward. It would have been okay for me to leave, but only for the right reasons. God challenged me to slow down enough to listen to how He was guiding, and as I settled down, I settled in. I realized I was just where I needed to be. My priorities for the morning slid into place. An hour went by. I engaged in challenging, encouraging discussion then sat down with friends to dig deeper while listening to the next message. I was lost in thought when I felt my phone vibrate. It was someone I couldn’t ignore or didn’t want to ignore. Yet I felt the pull of two directions. I had started off distracted, willing to step away, and found myself so engaged that I didn’t want to be distracted. That’s what often happens when we slow down. We engage at a level that firmly holds us in place, helping us take each step forward with deliberation. Distractions become interruptions. Some interruptions need our attention and are worth the cost of stepping away and into. Others are not. But only when we slow down enough to listen and settle into His presence can we be sensitive to the best choices and response. Please Be Kind. Set Aside Your Phone. Then I remembered being in line at a restaurant behind someone on her phone. She was trying to get orders from other people. We were in Subway, so she stayed on her phone the entire time she went through the line in order to relay each step of the order from the bread to the meat and cheese to toasting and heating options, toppings and condiments, cookies, chips, and drinks. The workers struggled to determine when she was speaking to them and when she was speaking to the people on the other end of the phone conversation. She had multiple sandwiches to order, so she walked back and forth, asked clarifying questions, gave instructions, corrected the instructions when someone changed his or her mind, and so on. It was a long process, and it wasn’t very respectful for everyone else in the restaurant, including the people trying to serve her from behind the counter. So perhaps it is necessary for people to post reminders for people to show kindness and define what kindness looks like. Sadly, we have forgotten. Or in some cases, we’ve never learned. It’s not just about setting aside your phone. It’s about using a kindness filter with everything you say and do. Consider others. Kindness always sets something aside, and much of the time, it’s yourself. I have a love/hate relationship with my phone. Setting all the convenient apps that help keep me organized aside, and even the social media that can keep me connected or distract me, my phone allows me to connect with the people I love, people I want to encourage, people who can help me find timely information, and so on. When I was in college, living a state away from my parents and friends, I had to save up minutes to talk occasionally instead of instantly. It’s nice to now be able to reach out and connect anytime. It’s a bit like living side by side even when we’re not. That’s why I love it. And why I hate it. Okay, hate is a bit of an exaggeration. Sometimes, it frustrates me. Sometimes, the expectations to answer and respond weigh on me. I’m glad to be available…and need a break at times. When my phones rings or vibrates, I’m faced with a choice of availability: Should I be available to the person who is contacting me or to the person sitting in front of me? Maybe I’m not actually with anyone, but I might be immersed in something important, and that is availability, too. Availability isn’t just answering when someone calls. There’s more to it than that. And when I’m honest with myself, I know I can take a break anytime I want. If there’s an emergency, people will find me. I’m not likely to turn off my phone, so someone will call back if they need me badly. I walk away from my phone quite often. I have very few notifications turned on, and only one that makes a sound. The blinking light of alert really doesn’t alarm me or drive me crazy. I don’t have nomophobia (a fear of having no mobile phone)…at least in short intervals. I can wait quite a while before checking my phone, but not nearly as long as I’d last between calls to my parents years ago. But times have changed. We have technology we didn’t have before, and it’s not going away. Staying in touch, being available, isn’t such a bad thing. 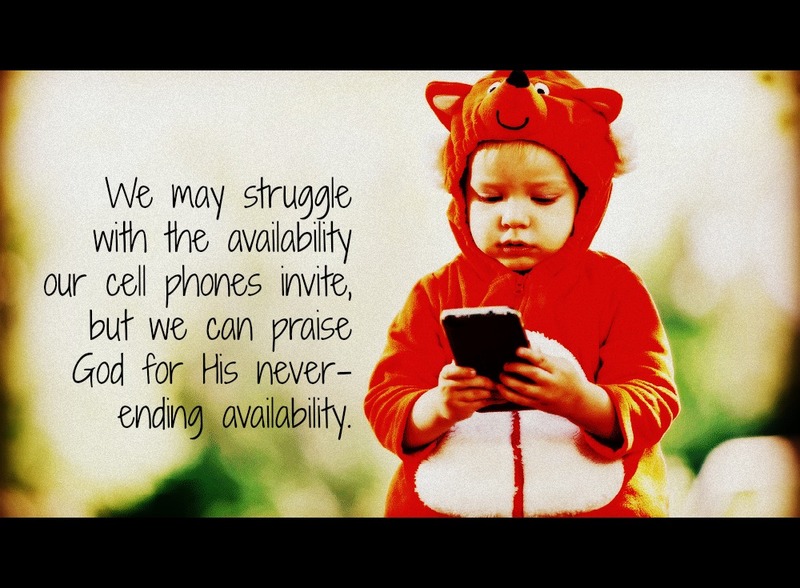 It’s a good reminder that God is always available. He doesn’t reject our calls. He’s not screening His texts. He doesn’t block, unfollow, or report us. He’s ready, eagerly anticipating our contact. He wants to hear from us, whether it’s to share our day, frustration, doubt, or celebrations. But we have to let Him communicate, too. Our relationship with Him isn’t one-sided. He’s available for you. Are you available for Him? Choose well. Stay connected. Be present. Courtney and I went to the So You Think You Can Dance tour last night. It’s always a great experience to see phenomenal dance performances. Courtney and I enjoyed reliving some of our favorite moments from the past season, and I especially enjoyed spending the evening with Courtney…enjoying her enjoyment. But there were a few disruptions. Let me first admit I’m a bit of a theatre and production fan. 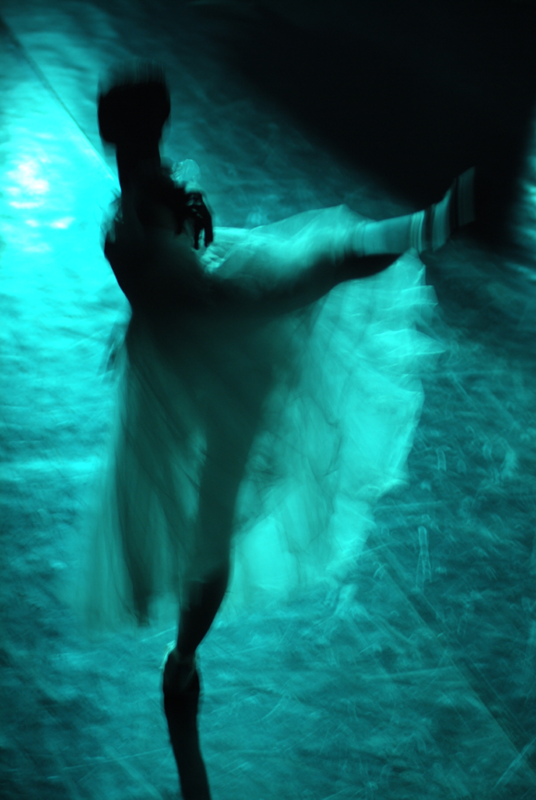 As a performer (in my younger days) and choreographer for high school musicals, as well as attending many musicals, ballets, and plays, I’ve experienced productions from a variety of perspectives. And there’s theatre etiquette. Personally, I think basic theatre etiquette should be printed in every program. And as I sat through last night’s performance, I composed a few points I’d include. I have to admit this event wasn’t typical theatre. It was more of a concert atmosphere, so I suppose the rules are a bit different, but I still repeatedly thought how insensitive some people were being. Of course, not everyone was being (in my opinion) disrespectful. Our row was great. We were on the end, and everyone in the middle only left and returned during the intermission. And may I reiterate…I really enjoyed the evening! While others annoyed me a bit, I was determined not to let them excessively interrupt my enjoyment. But I thought about it often enough that I began drafting this blog post and considered posting it on the So You Think You Can Dance Facebook wall. I was in church, and I thought about the unwritten rules. Stand. Sit. Bow your head. Sing. Listen. Fill out an attendance card. Take communion as the tray passes. Sure, we communicate some of these things on the screen or even briefly talk about them, but there’s a lot that is assumed. How do I respond when someone wears something out of the ordinary? What happens when someone speaks during a time of silence or a time usually set aside for only one person to be speaking? What if someone begins singing in the middle of the sermon or moves to the front of the church early in the service instead of when it’s expected? When someone doesn’t fit into our expectations, we can get annoyed, or at least uncomfortable. How should we respond? With irritation, silence, confrontation? Do we assume people know the unwritten rules, traditions, and guidelines? I was irritated with people at So You Think You Can Dance who didn’t abide by the unwritten rules of performances. But perhaps they weren’t breaking the rules in defiance. Perhaps they simply weren’t aware of the unwritten rules! …which means, perhaps I shouldn’t have been irritated or offended. In what situations do you get irritated when people don’t fit into your expectations? When they seem to be breaking the rules? How do you respond? Next time, let the disruptions you experience – in the grocery store, traffic, airport, spa, church, restaurant, etc. – prompt you to consider your expectations. Ask yourself “why” you have the expectations and are they critical. If yes, are you willing to walk alongside the person not meeting those expectations and teach them the reasons behind the guidelines? If, on the other hand, you realize your expectations aren’t critical, you might learn something about yourself that might spill into other life situations if you let it. I hope you’ll allow the questions spurred by disruptions to strip away the unnecessary and expose the essential.